Teesside University has been awarded a Silver rating in the government’s new Teaching Excellence Framework. 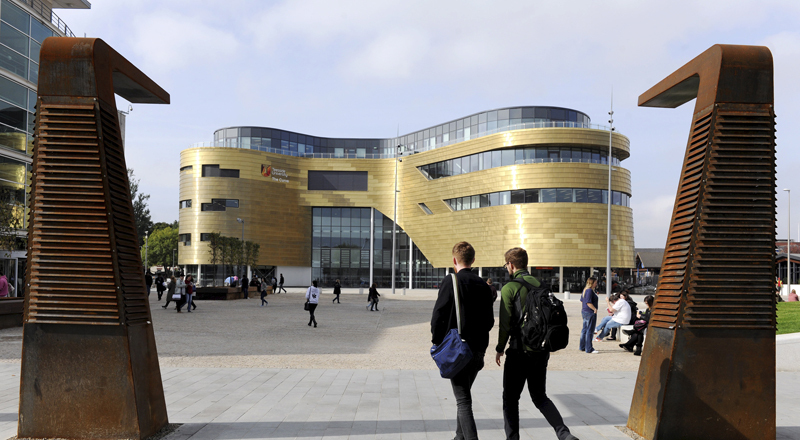 Teesside University has been awarded Silver in the Teaching Excellence Framework. The University has invested over a quarter of a billion pounds in its campus in recent years to offer a high quality student and learning experience and continues to invest in staff development to ensure a first class learning and teaching environment. 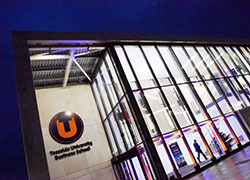 As a result, Teesside University has been rated as 60th in the Times Higher TEF rankings, one of the highest performing TEF Silver institutions in the country. The table has been collated based on the number of positive flags each university received in the TEF. Teesside is already the second highest in the country for staff holding a teaching qualification (84% HESA, December 2016) and first in the North East and 23 across the whole of UK for teaching quality (Sunday Times Good University Guide 2017) with 87% of students satisfied with their course – above the national average of 86% (National Student Survey 2016). In the 2018 Guardian University Guide, Teesside University moved up 23 places, one of the highest climbers this year. This was thanks to a number of improved metrics, including our student employability statistics and our continued investment in student resources. As an anchor institution supporting the regional economy, the institution works closely with employers on a number of innovative schemes to ensure our graduates are highly skilled and work ready when they graduate. Leading entrepreneur and networker Meryl Levington has been appointed as the new Head of Student Futures and is working with the business community to find out how the University can meet its needs with its graduate talent. As part of the University’s on-going commitment to graduate employment, it has partnered with one of the country’s leading recruitment agencies, REED NCFE, to work with students to help them access graduate-level jobs. 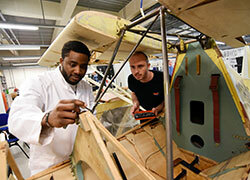 The University is also working with employers to offer a range of graduate internship opportunities, as well as developing a range of Higher and Degree Apprenticeships. 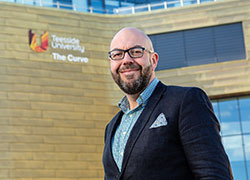 Teesside University’s Silver award in the Teaching Excellence Framework...demonstrates the tremendous progress we are making, and reflects our expertise and experience in providing students with an excellent University education. In addition to Teesside’s Silver award, the local Further Education Colleges, who deliver Teesside University courses, have received either Silver or Gold awards for their teaching of both full and part-time students. The new ratings – Gold, Silver and Bronze – form part of the government’s Teaching Excellence Framework (TEF) and is the responsibility of the Department for Education designed to give students information on teaching quality within universities. Professor Mark Simpson, Pro Vice-Chancellor (Learning and Teaching), added: 'We are very happy that the University has been awarded a Silver rating in the new framework. It demonstrates our on-going commitment to our students and our emphasis on high-quality learning and student experience. Teesside University earns Silver award, given for consistently exceeding "rigorous national quality requirements for UK higher education.